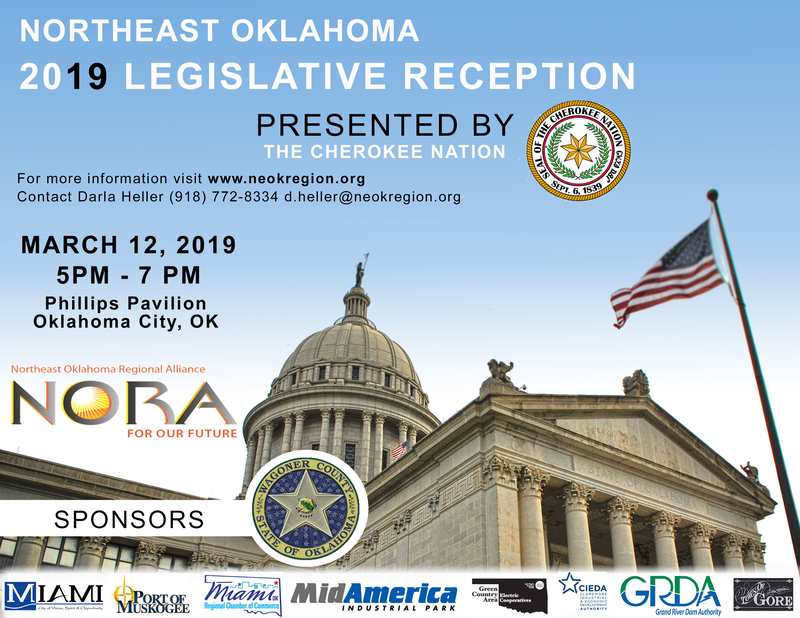 Held during the Oklahoma legislative session in the state’s capitol, this event is aimed at providing stakeholders and regional partners access to elected officials and decision makers. It is good for our region to have a seat at the table with Oklahoma lawmakers. NORA's Legislative Reception is held in the beautiful Phillip's Pavilion at the Governor's Mansion in Oklahoma City. Attendees include Oklahoma State Legislators and northeast Oklahoma stakeholders.